Joseph Nunn with Chica and Button. Companion Animal Foundation has little dogs that are up for adoption! Chica is a Chihuahua mix female and is approximately 12 weeks old. She is playful and loves to be the center of attention! Button is a mixed male who is approximately 11 weeks. He also is extremely playful. They both get along well with other dogs and do not bother the cats in our cat room. 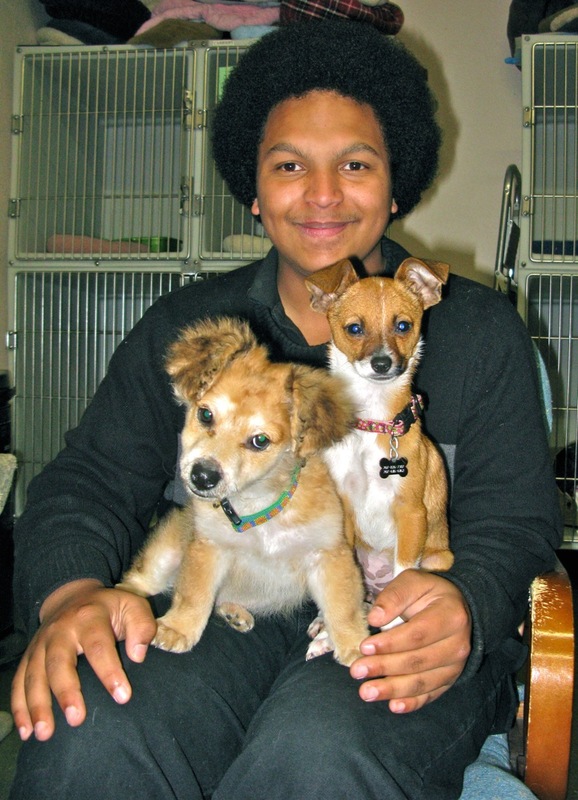 Joseph volunteers his time and helps us care for the animals. He’s especially fond of the little dogs that we have. For more information on volunteering, adopting or fostering, please call (707)826-7387 or visit cafanimals.org. Sweetie is a white shepherd/pitbull terrier mix. She lives up to her name in so many ways! Sweetie is a good-natured dog who is happy to get out for a walk or just relax in the sunshine. She has a lovely dainty paw shake that she will happily offer upon meeting a new friend. She is seven years old, about 40 pounds, current on vaccinations and has been spayed. 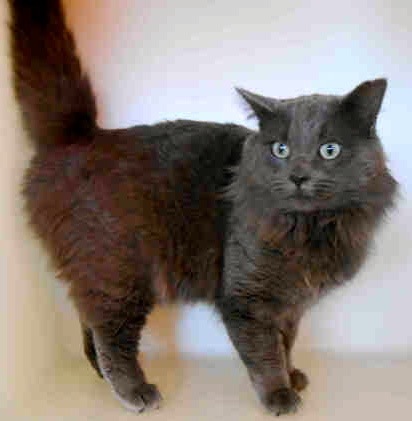 Bobby is a gray domestic mediumhair. He is four years old and is unaltered. He arrived at the shelter on December 10. His ID number is A062182. For more information about Sweetie or Bobby, call Humboldt County Sheriff’s Animal Shelter at (707) 840-9132. This entry was posted on Friday, February 1st, 2013 at 1:36 pm	and is filed under News, Animals. You can follow any responses to this entry through the RSS 2.0 feed.